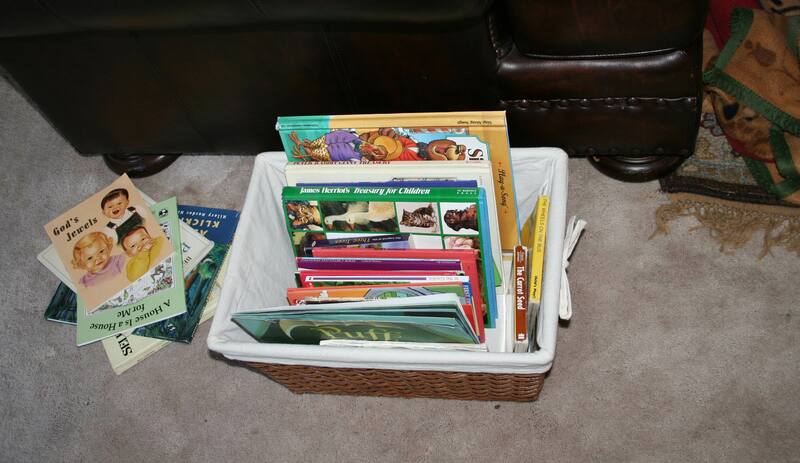 This entry was posted in Homeschooling and tagged chapter book, home, Homeschooling, life with little ones, rhythm of a year by Charity Hawkins. Bookmark the permalink. We keep track for our library summer reading program, so we try to pull out a lot of our books we haven’t read in a while. I realize how much we tend to read the same books over & over if we don’t rotate. Sometimes we read on the front or back porch and sometimes on a blanket under a tree. 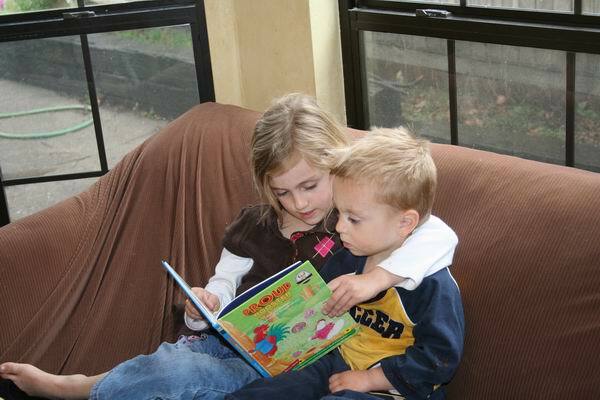 This summer the older child is reading and that allows her to read to her little brtoher as well as read to me while I’m doing other things. I love the porch or blanket under a tree idea. 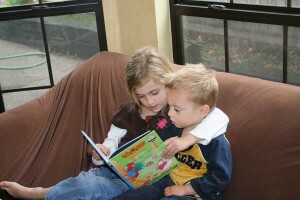 And, isn’t it precious when the older ones can finally read to the younger? Thanks for all your great ideas always–you always inspire me to read more. 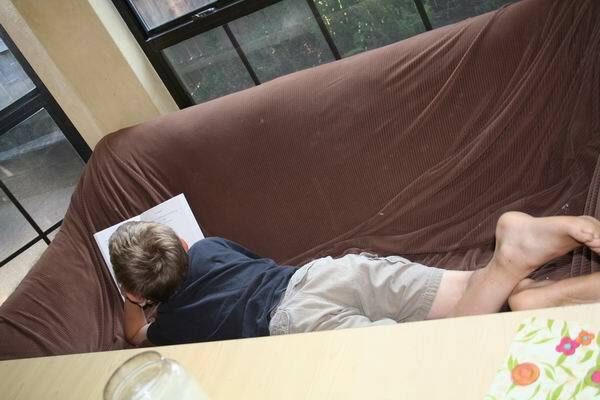 The Homeschool Experiment was on my summer reading list. The front cover was a portrait of a day in our first year homeschooling. 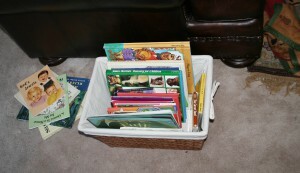 Adam (1st grade) banging his head on his math workbook with “space” unit study library books stacked beside him. Emily (3) playing in the floor in one of several costumes that would be worn that day. And baby Boone in his sling while I attempted to tidy up. That was 15 years ago. Thanks for the memories and some laughter. I’ve been recommending it to our homeschooling friends. Thanks so much for sharing that! It’s good to hear that you survived and lived 15 more years to tell the tale! I’m so thankful for those more experienced moms like you out there to encourage us all. Thanks for recommending it to friends! You are awesome!